Didn't Work Out? - It's just a plan. Go ahead and revive it. Keep Going! I am writing this article while being on a trip – a trip I planned to make my birthday just special from what the other have been. As always and just like a feared, plans never work out well with me. I ended up in my hotel writing this article. It has often happened to me also just like your life. My friend’s ditch, unexpected circumstances come around and sometimes I myself end up being demotivated to do something. However, I do not give up. I just keep planning. I keep going well. Even today, with a disappointed feeling, how to make it better. 2. How does it turn to a better time? It is easy to turn it into something better. 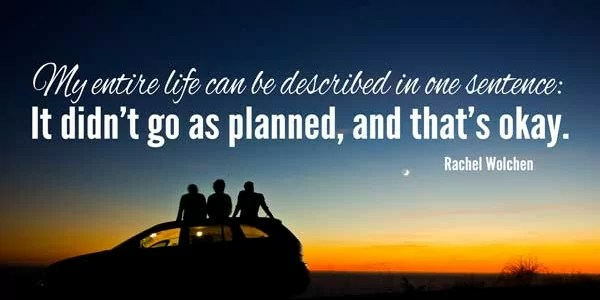 There are always ways in which you can make your life better even with failed plans. You just failed, you are alive yet. Find happiness in each small thing, find a way in every possible direction, find a new plan to just pickup from where the plan failed. I have always been positive in my life to make a new plan. I have failed in getting a code working, I have failed in fetching opportunities, I have failed in my travel plans but I have never stopped. There’s always been a solution – Sometimes it’s a rollover completely but it’s just getting thing better – take it. Panicking has never been a solution, neither was it for me today. I ended up realizing it and I ended up making a plan which probably will lead to something even more better. Atleast I am hoping for it again. So what’s the learning for you here? I just wish to present my point that if you feel you life is a failure always, well no. There are people all around the world who fail including the giants like Microsoft failed – failed in innovating Nokia Mobiles, even Apple failed in its effort to create Maps application. However, there were people internally who didn’t give up. They persevered, they planned again and now things are being better. Just try an make it better. Your failure does not convert it into a judgement for life. You always have further chance to make it better. 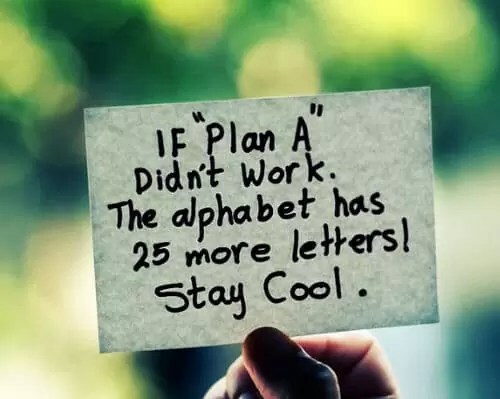 Sometimes your plans are just in front of you – You just need to implement it. Sometimes it may be a tough way out and you need to just put in yourself into it.